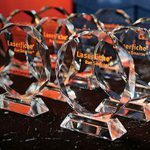 Laserfiche—a leading global provider of enterprise content management (ECM) software—recently announced the winners of the inaugural Laserfiche Industry Influencer Awards during the company’s Empower conference earlier this year. The award recognizes active individuals within the Laserfiche community who exemplify leadership and empower others to transform their organizations into thriving digital workplaces. 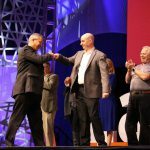 This year’s winners represent key industries within the Laserfiche community, including local government, higher education, K-12 education and financial services. These five individuals have been instrumental in creating a community of practice where Laserfiche users can share ideas and receive feedback. This community encourages tech innovation and enables users to create transformative solutions for their organizations. To learn more about Laserfiche’s industry solutions, please visit laserfiche.com/solutions.